I think the most important thing that I learned from Tribhuvanatha Prabhu is that one can serve the spiritual master in any condition of life and under any circumstances. 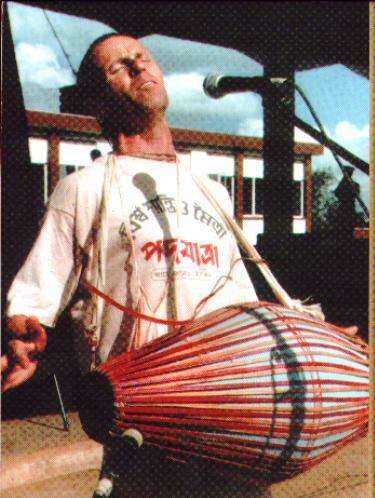 We joined forces just after Srila Prabhupada’s departure, and from then on it was nonstop adventure and challenges. We had to quickly become self-reliant. It didn’t matter if we found ourselves in a safe situation or not, or whether we had lots of association or none at all. The main thing was serving Prabhupada. Service was our lifeline. So the Middle East program was great training, like being thrown into deep water without knowing how to swim. It was sink or swim, do or die. The material world is a war zone and only the strongest survive. Tribhuvanatha was a soldier for Srila Prabhupada and he led by example. The war against maya isn’t over, but at least I have some hope and inspiration thanks to Tribhuvanatha Prabhu. 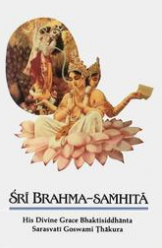 At the 1970 London Rathayatra, more than thirty years ago, I met a young bhakta who, like myself, was trying to absorb the transcendental gift of Krishna consciousness. He was bright-faced, innocent, full of energy and obviously very dedicated to pleasing his spiritual master. 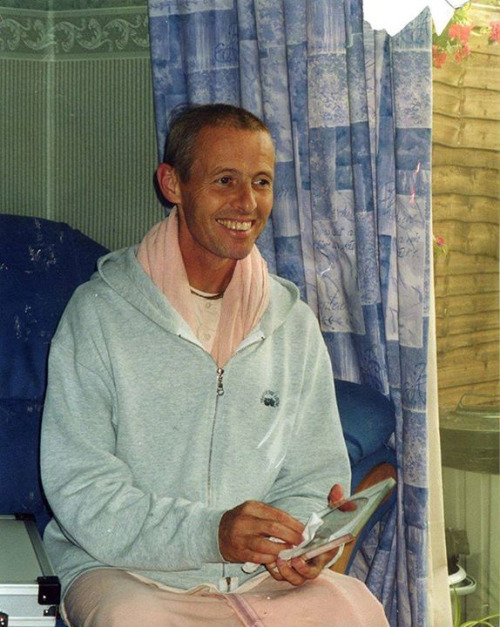 I knew him as Tom, and I thought that if I could do just as he was doing— always joyfully chanting the Hare Krishna Mantra and studying Srila Prabhupada’s books — then everything about my life would turn out all right. We remained friends all of those years, but our service rarely brought us together. Still, I always felt a close connection with His Grace Tribhuvannatha Prabhu. In 1976, we spent some time associating in the holy land of Vrndavana Dhama and I can still recall the kirtana he led after Srila Prabhupada performed a fire yajna in the courtyard of the Krishna-Balarama Mandira. There was great potency in his chanting, the potency that comes from being totally surrendered to the will of a pure devotee of Krishna. Tribhuvannatha Prabhu’s chanting sounded like a call to every jiva soul to rise up and begin to serve the Supreme Personality of Godhead who resides in the hearts of all.